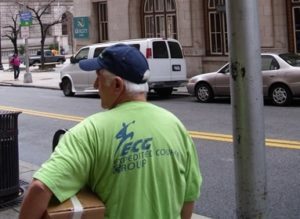 Expedited Courier Group – Messenger delivery service with headquarters in Baltimore. From bikes to trucks we have the vehicle to suit all your delivery needs. Airport pick up / drop off and scheduled runs all part of our growing service. Rush same day and priority service and times. We can also provide you with ‘man and van’ – call us for a quote for driver with vehicle and slash costs on having your own employee and vehicle costs. For courier service in Maryland and surrounds please call us 24 hours 7 days.